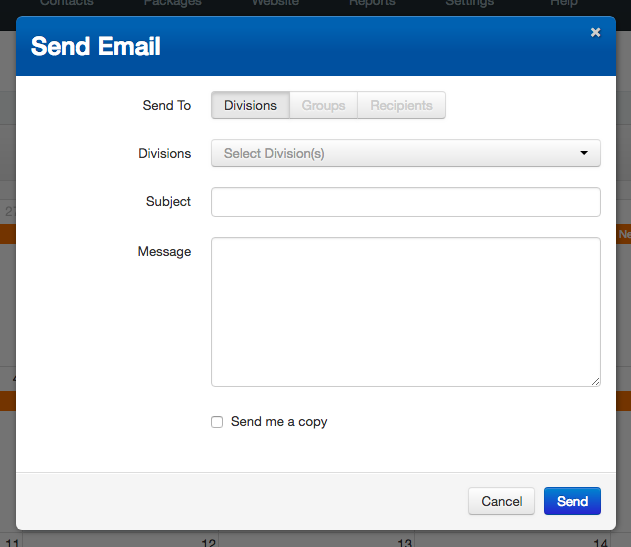 Sending an email to your Talent (Individuals, Groups or whole Divisions) and/or Contacts has never been easier! You can do this from your Syngency Admin account. 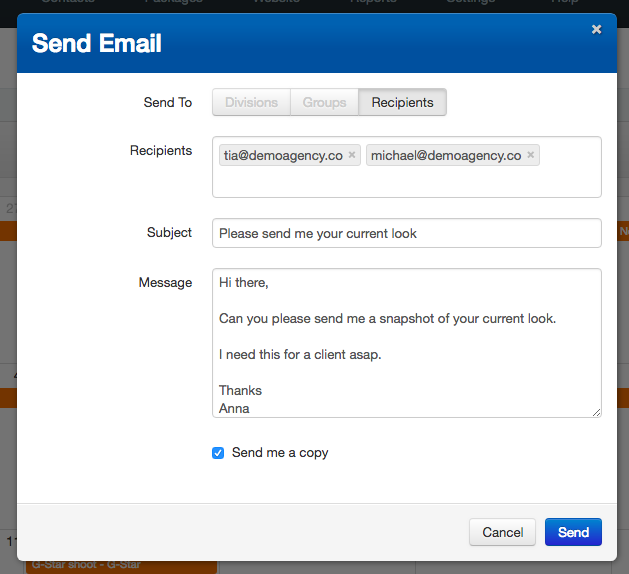 Follow these four simple steps to send a one-off email within minutes. 3. Write your message and select whether or not you would like to receive a copy of your email by ticking "Send me a copy"